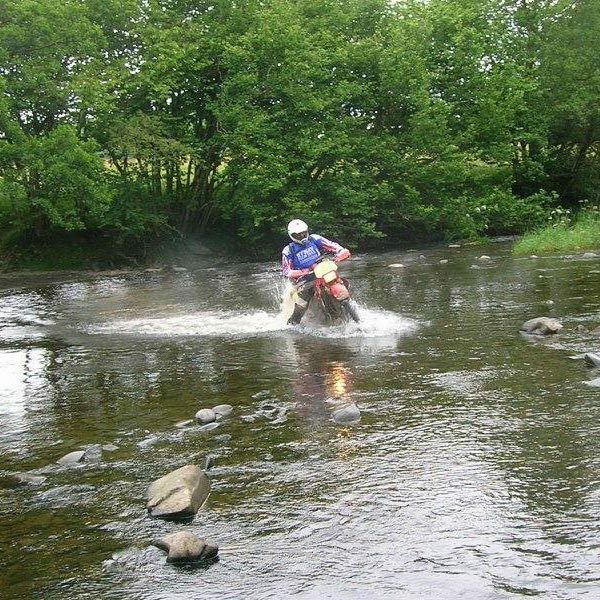 Trail Riding in the Great British countryside and USA’s iconic Route 66. Worlds apart. Or maybe not? 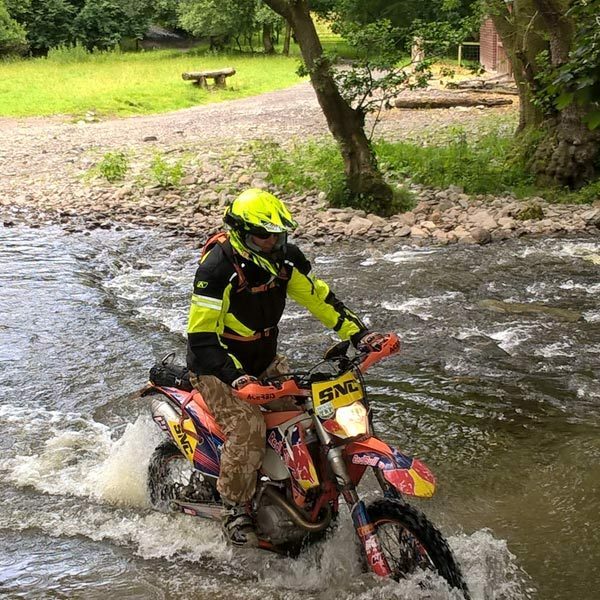 For the last two years Bike Tours For The Wounded have undertaken epic trail rides across England to raise the funds that allow injured British Forces servicemen and women to take part in a once in a lifetime ride in the USA. 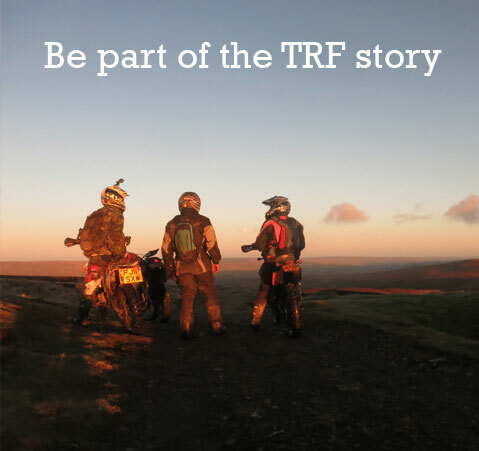 The TRF have been big supporters with members generously providing guides through their region, as well as joining the trip itself. 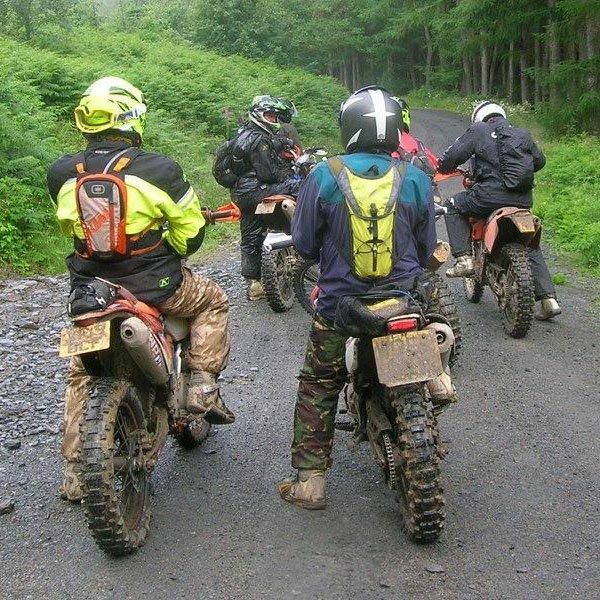 Martin Wellsted spills the beans on last year’s trip and explains how to get involved in the next one. 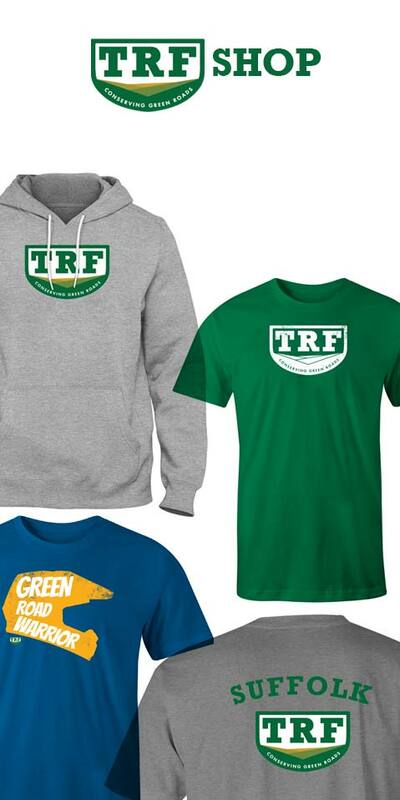 Over the 8 days of the tour, six TRF regions all volunteered their time to plan, pre-run and lead the tour through their regions. Without this help and support the tour would not be the success it has become. 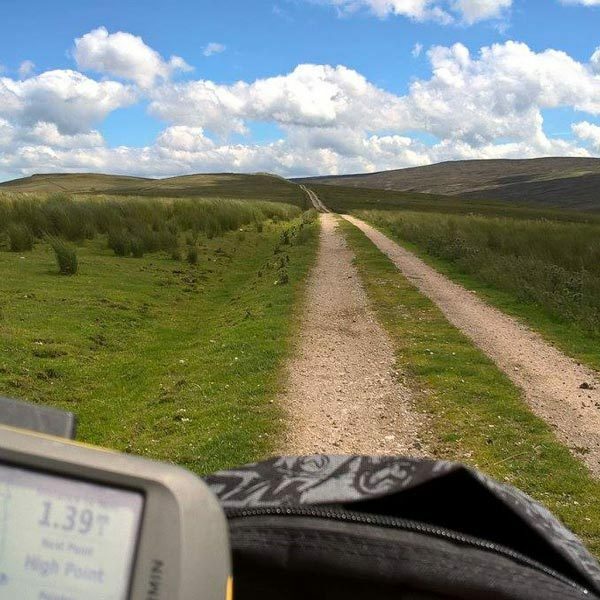 The overall route covered 920 miles with over 470 miles of Green lanes. 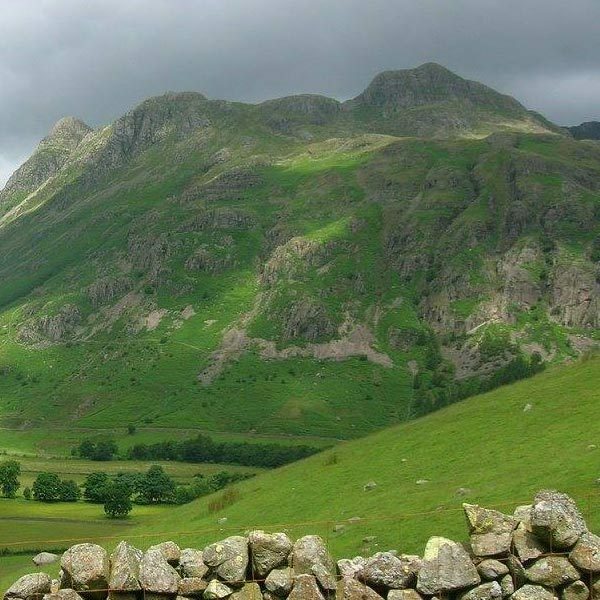 The countryside that the tour passed through was truly amazing from the towering mountains of the Lake District through the Yorkshire Moors, onto the beautiful Peak District, challenging Wales and finishing in the wonderful Wye Valley. 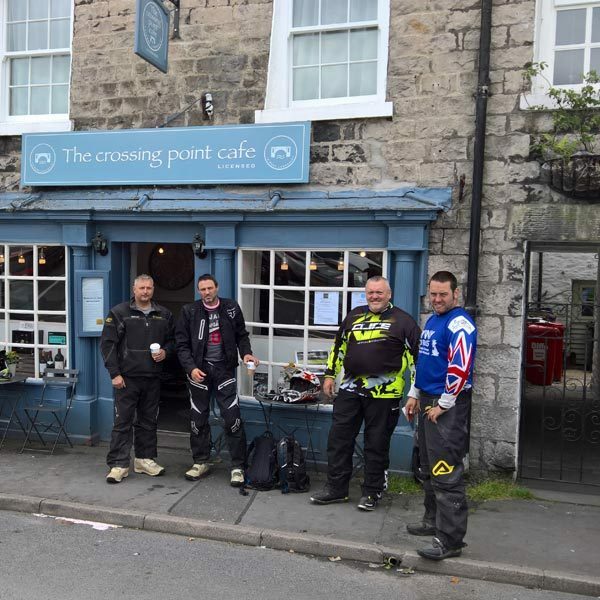 The morning briefing over, the riders all made their way to the collection point to meet up with Ian Knowles and the Cumbria TRF team who volunteered to lead us on day one. What a day!!! 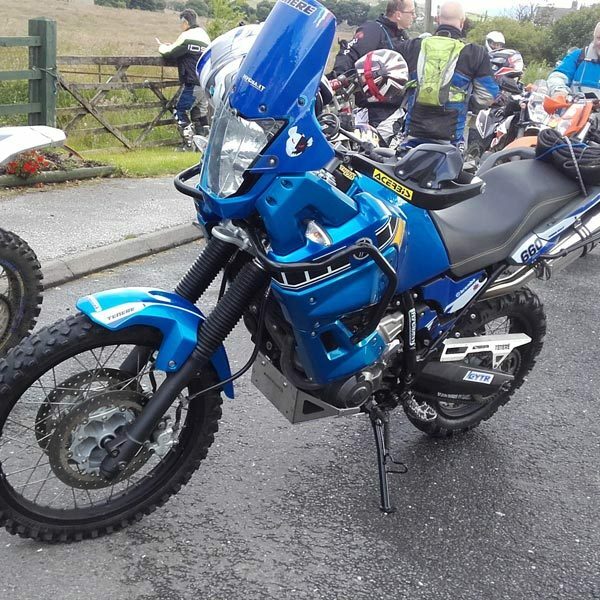 To anyone reading this that has not ridden in the lakes, DO IT NOW! 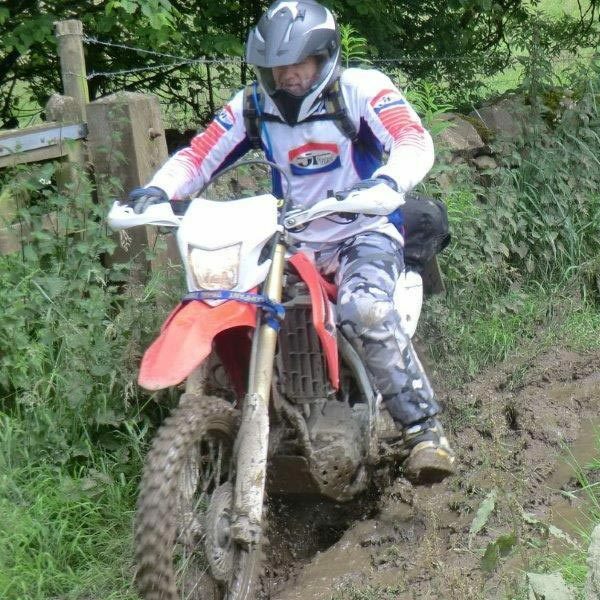 Truly amazing day of wonderful tracks very little mud, loads of stones and rock steps. Lunch was at the Outdoor Centre at Grizedale. One group had a tough day with punctures amassing 4 in 104 miles! 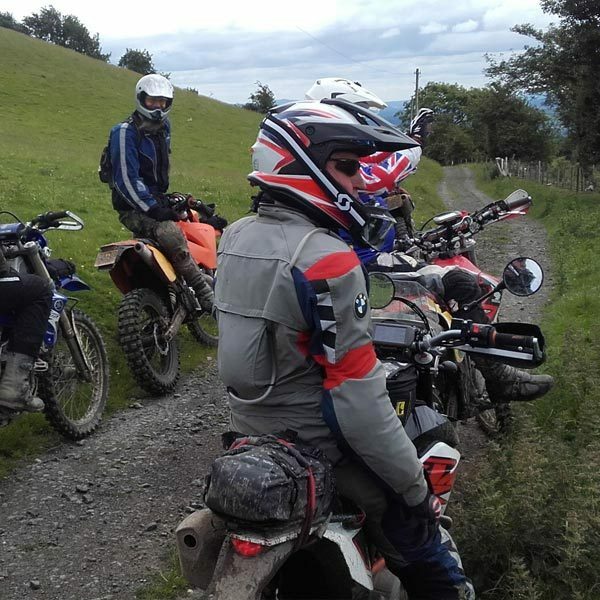 A fantastic days riding that culminated is a few of the more capable riders reaching a view point above Windermere while my bike and I tossed ourselves down a slope only to be held back from landing in the brook 20 feet below by brambles and one or two rocks! 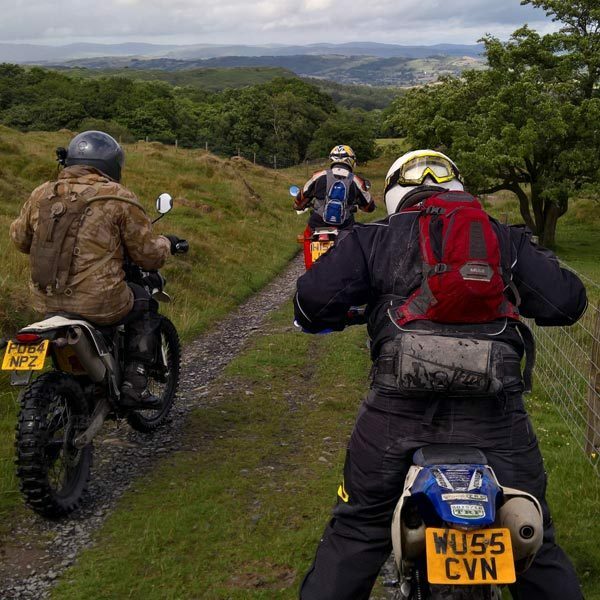 Day two was a re-run of the same route as last year, self-lead crossing from Cumbria into Yorkshire, over the Moors and into Derbyshire. Considering the rain on the preceding day, to wake up to a bright and sunny day was a relief for all. 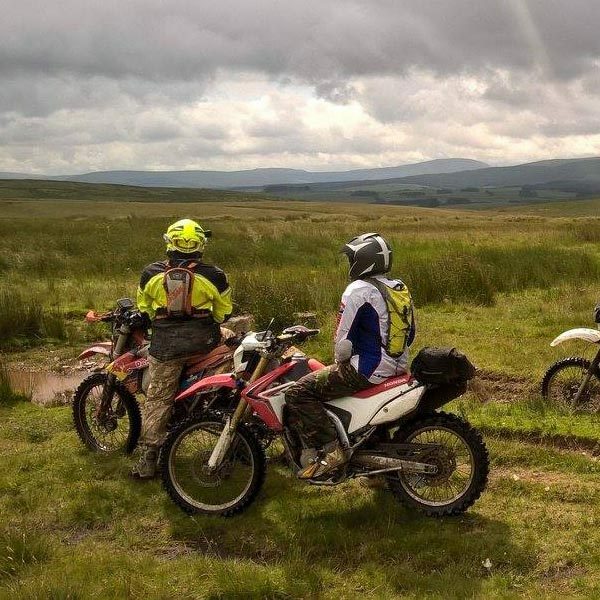 After fuelling up, the route took in some of the easier southern Cumbrian trails easing aching riders into the day. It is a privilege that we all have the opportunity to enjoy the wonders that we all have in our own back yard. 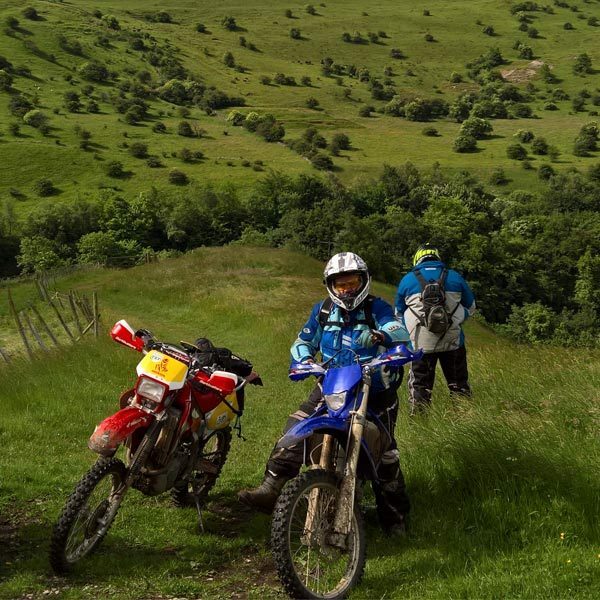 Riding through incredible vistas adds vibrant colour and a level of incredulity that it is difficult to describe. 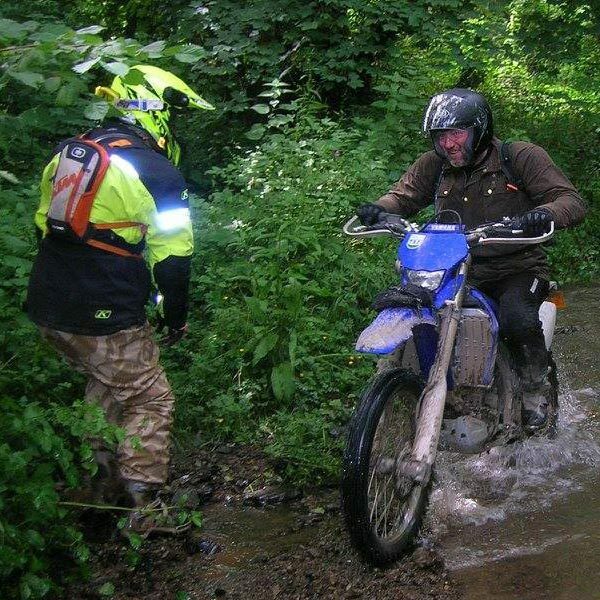 For the less poetic, there were water crossings that offered new challenges particularly for the inexperienced riders who had not had much chance to experience river crossings before! 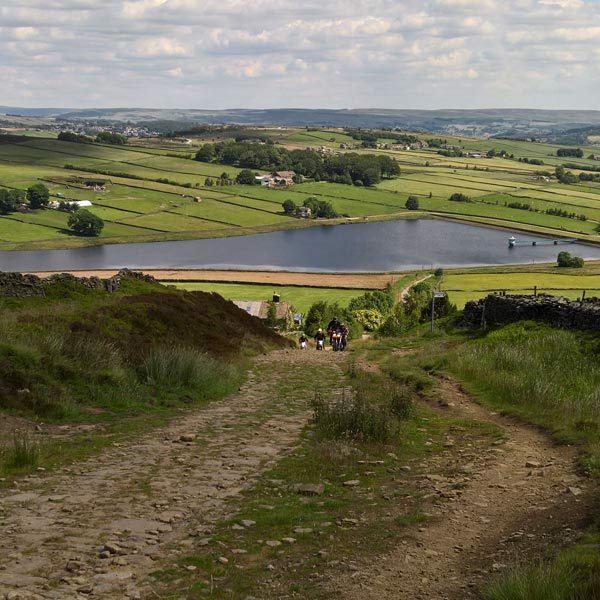 Once all the pictures were taken, it was onto the Moors and the iconic Hornby Road that offers the opportunity to test self-control while offering vast landscapes. An uneventful day culminated in early arrival at the campsite in Clithero and a chance to enjoy a couple of beers before dinner. 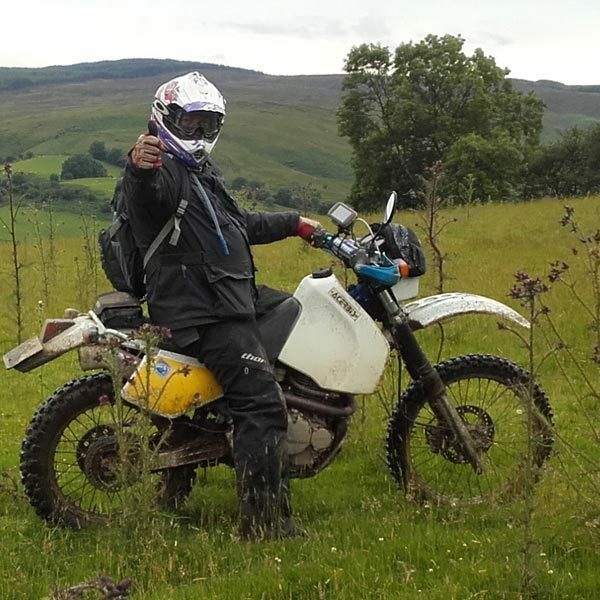 Another self-lead day this time pulled together by the infamous Jimmy Kawasaki transiting the UK’s industrial heartland. 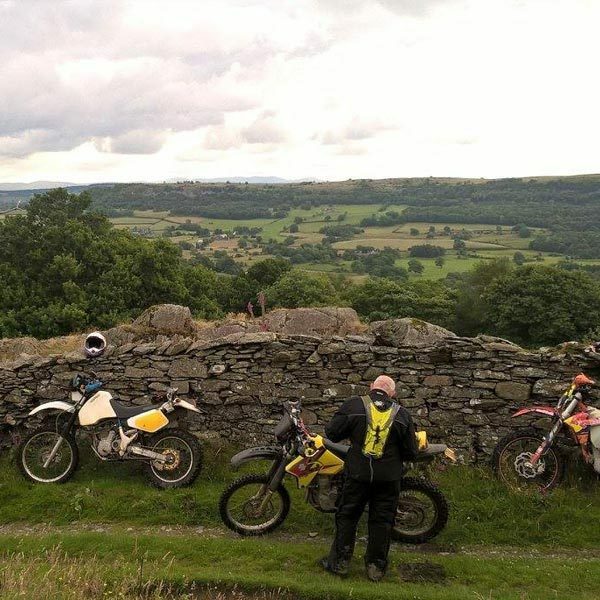 All credit to Jimmy as the days riding was incredible, taking in Derbyshire countryside while cleverly avoiding any major conurbations. For those of you who know Jimmy, you know that his routes always include water. He did not disappoint! Every lane was a new adventure as none of the route had been pre-ridden. With the weather on our side and the riders in fine form, we attacked steep rocky climbs, on one occasion 2 up! Every lane opened up huge landscapes and new experiences for all. 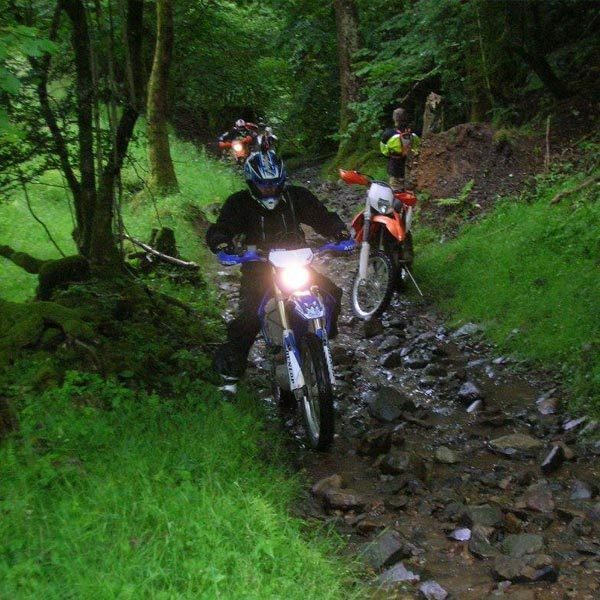 One trail in particular challenged all the riders with the slipperiest cobbles ever encountered, many of the riders electing not to ride it as it was somewhat challenging. The views from the top were however worth it. 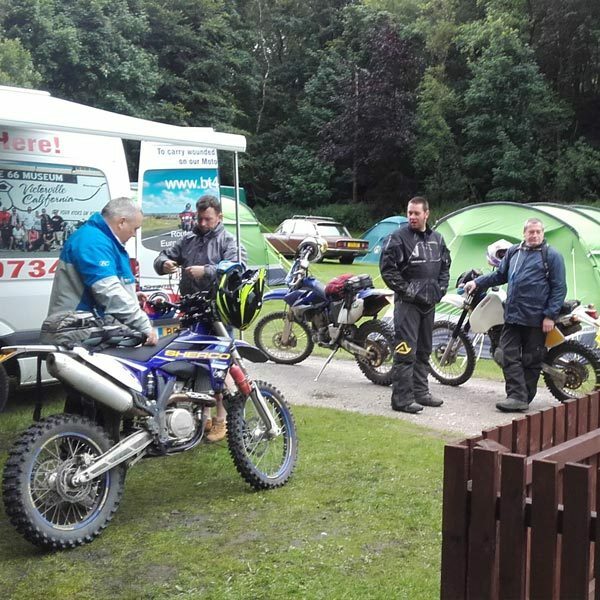 Arriving into camp at a reasonable time gave us all the opportunity to grab a couple of beers after fettling bikes and before heading out for dinner.. The day that everyone was looking forward to with the High Peaks TRF. There was never any doubt that Andy Teece and his team of gallant leaders and tail enders would put together another amazing day for the tour. 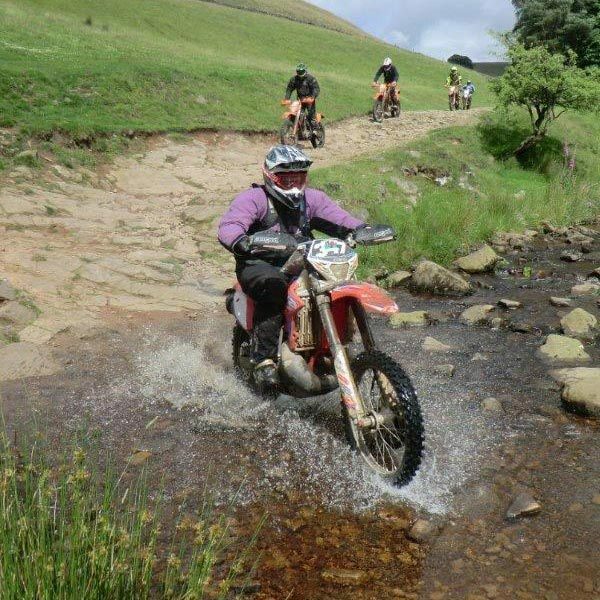 What better place to start than Katy’s Diner… From there onto the trails and over some of the most beautiful countryside. 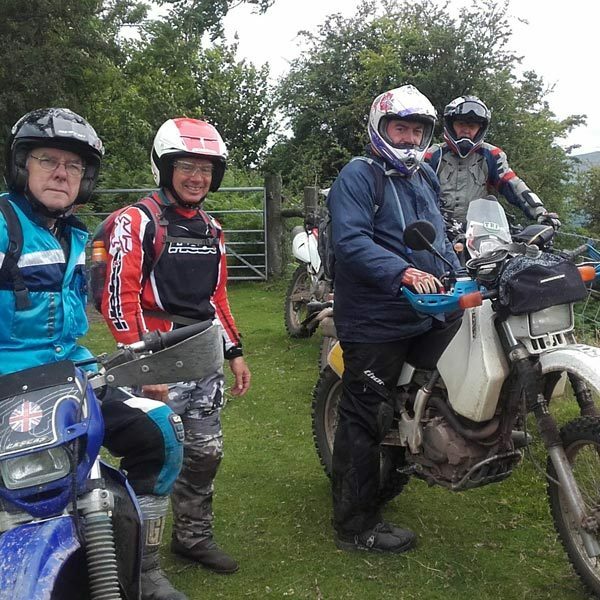 Lunch was kept to a short grab and dash so we could enjoy as many trails as possible covering the 3 Shires trail and a myriad of Byways to test and entertain the riders, even taking in some culture for the scenic group! Oh – there was water too. Come to think of it, I am not sure if there was any day where we did not encounter water!!! 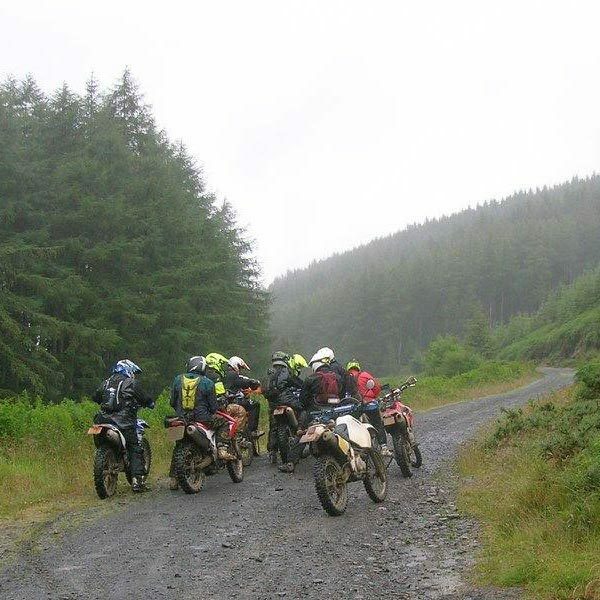 Wonderful Wales led by the mid-Wales TRF is a dream for all enduro riders. 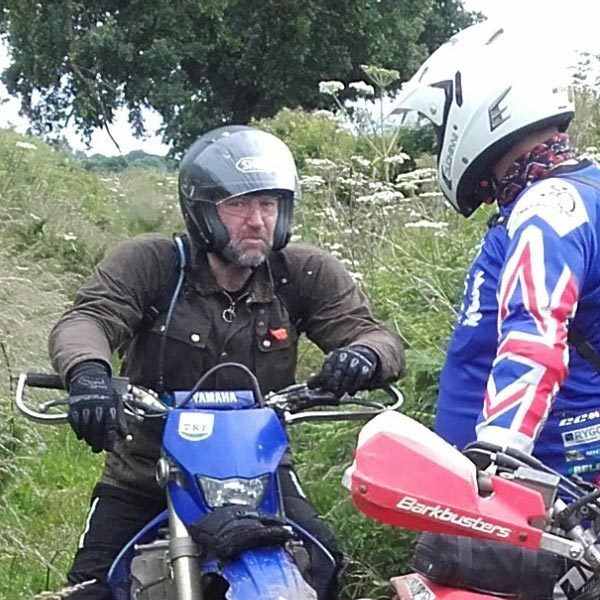 Great to be riding with the super helpful Hywel Thomas again. A true mix of lanes from rocky steps and climbs to muddy trails that had bikes slipping and sliding all over the place. 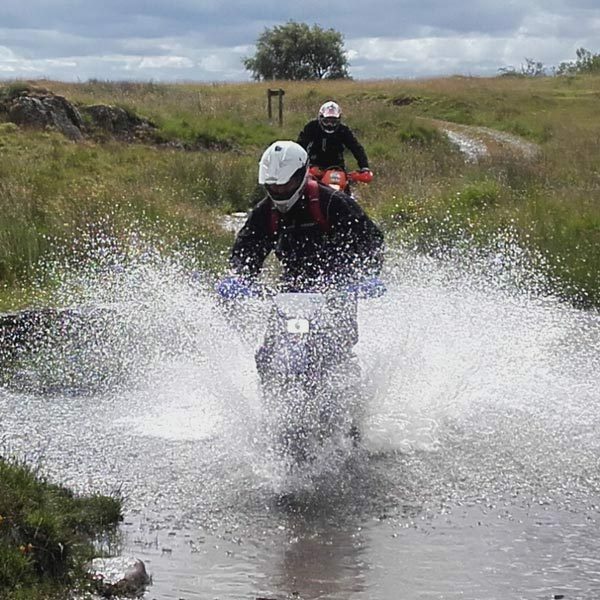 Wales never disappoints with all riders enjoying the varied and challenging lanes. 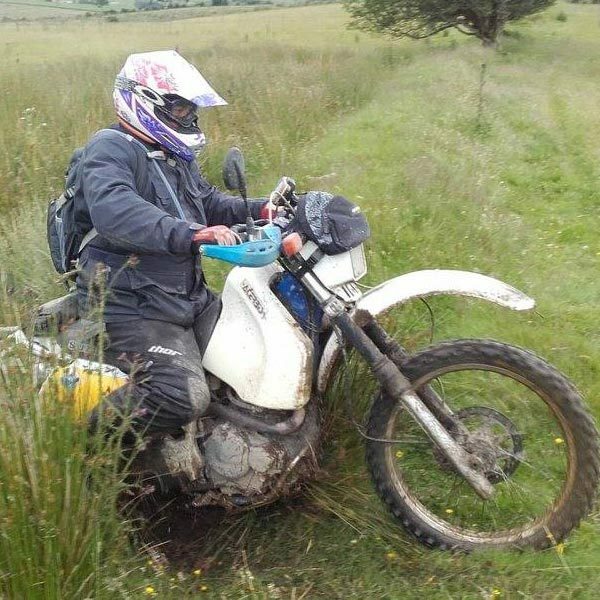 The tour operates a very simple rule; if you fall off your bike, you are to stay put until at least one picture is take of you! 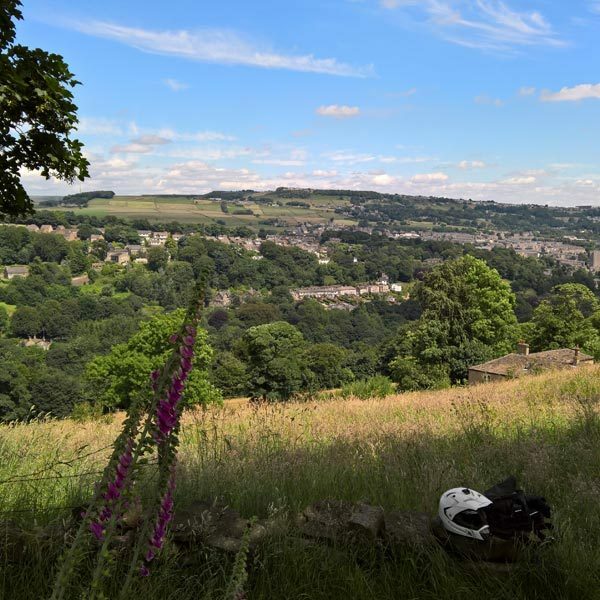 A fantastic day on the lanes saw the tour ride into camp early with time to spare and enjoy a couple of well-earned beers – well that was until the midges forced an early retirement. This year’s tour was not blessed with fine weather… this was the day that it really caught up with us! 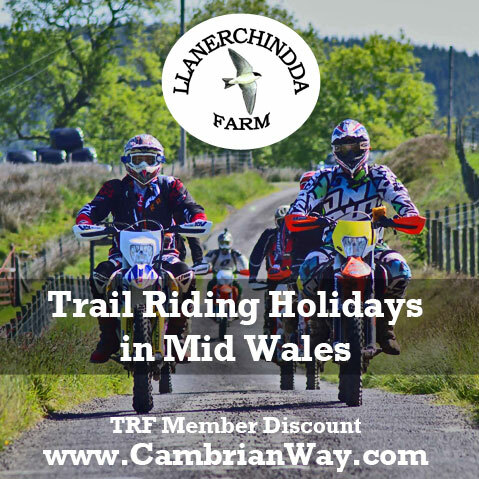 The real shame is that we had a once in a lifetime opportunity to ride private trails through special dispensation thanks to careful negotiation and arrangement by the mid Wales TRF. 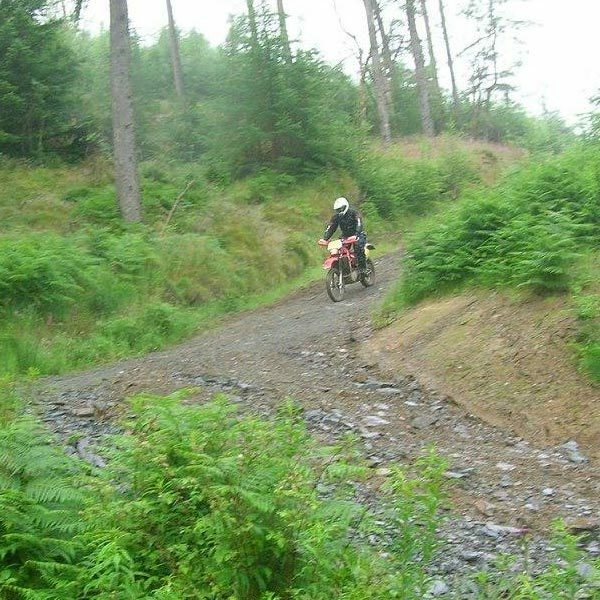 The morning was spent covering various trails and tracks testing riders as the rain continued to test all. When lunch arrived, fortunately located in a cosy pub, newspapers were found to place strategically to prevent wet riders dripping on the furniture too much! 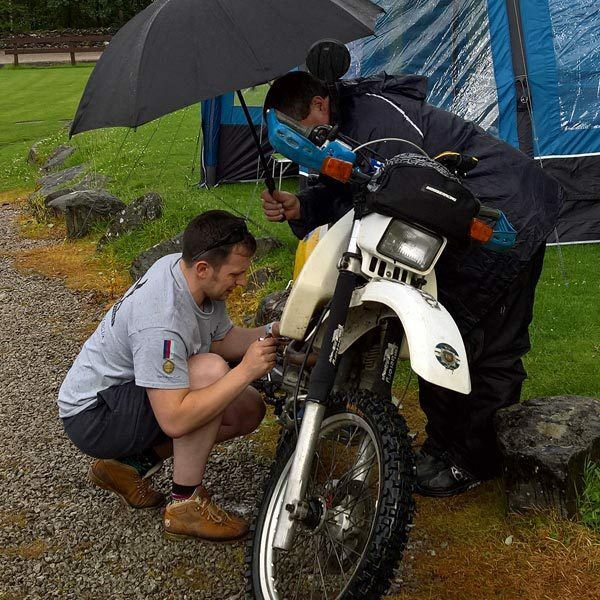 Needless to say, the afternoon consisted of the entire tour fashioning the latest waterproof riding gear from bin bags followed by a 70 mile blast through the finest Welsh weather to the campsite to try to dry out. 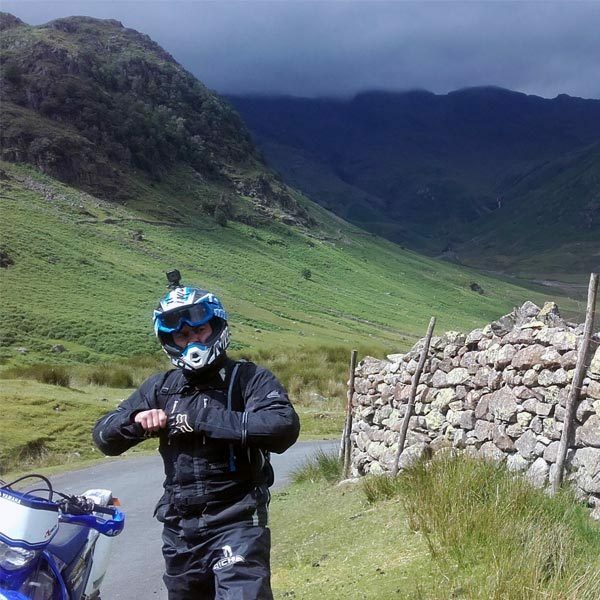 Wales finally relented and gave us a good riding day with occasional sun on our penultimate day and 100 mile run into Monmouth. 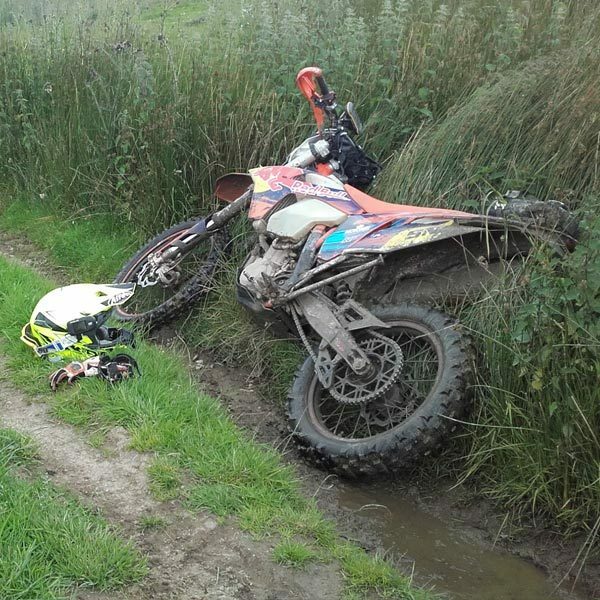 This route covered parts of the old roman road and offered the chance for a little escape from the restraints of mud although not for long!! Oh and there was also water with a number of crossings along the way. Ably lead by the awesome Rod Jones the route was diverse and testing for the tour. 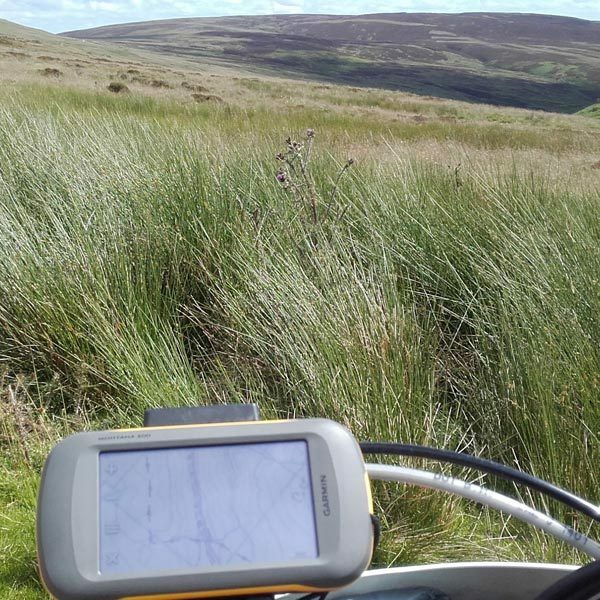 Highlight of the day has to be sitting in the Black mountains looking at the vast landscape that we were traversing. 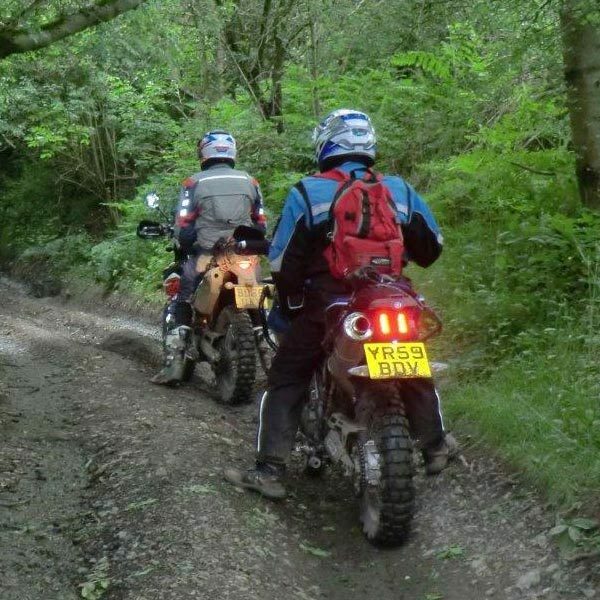 Then turn the corner, drop down through another crossing and find your bike forging a route through the undergrowth! Riding into camp after another 100 mile day, beers were very welcome! 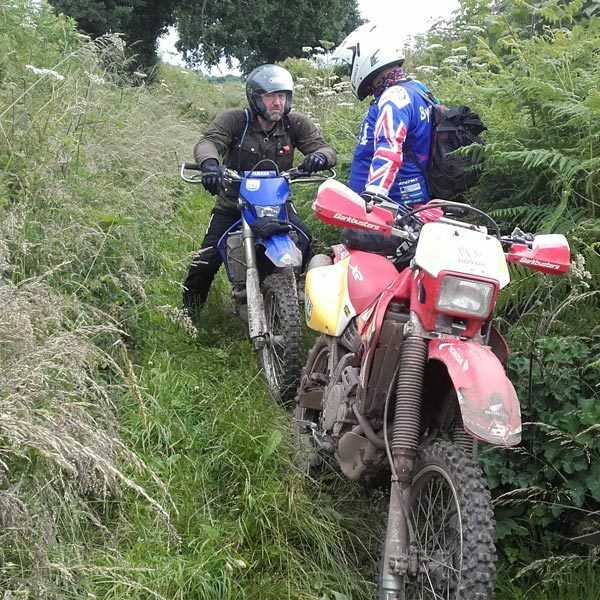 The last day and a choice or rides; either nice and gentle and scenic or a little challenging lead brilliantly by Andy Howes and Dean Allen of the Central Bristol TRF. The day started at the Royal Engineers museum with an invitation and a chance for a pose by the big guns! 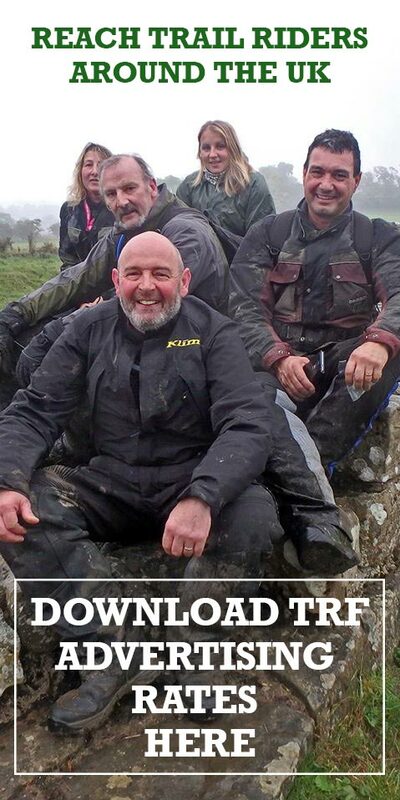 In planning the final routes, Andy and Dean had been asked to set some challenges to finish in style. They did not disappoint with the challenges they set. Not many of the group made the day without a little lie down. 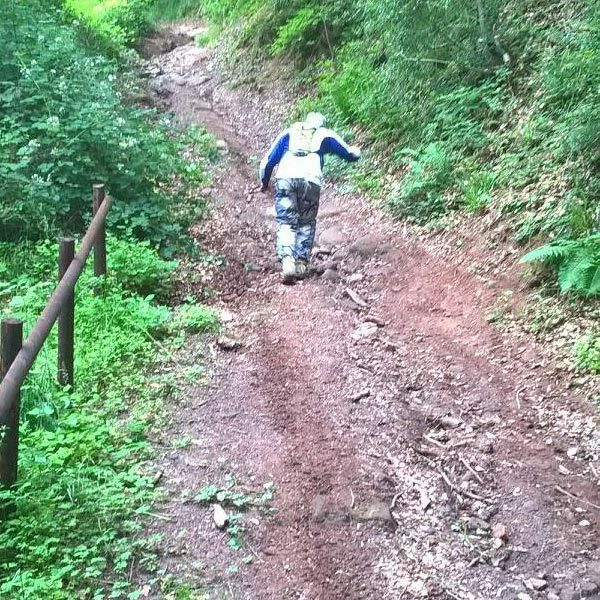 The mantra became, before taking on the next section, it may be a good idea to walk it first. 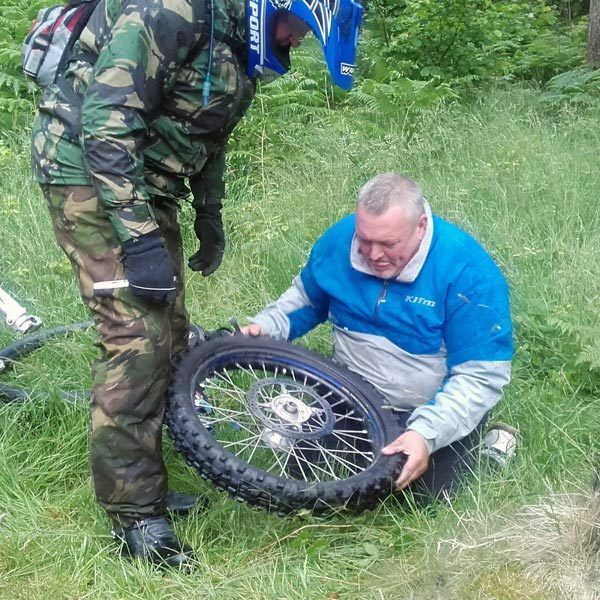 Or you could try riding up and hope that someone will help you right your bike! 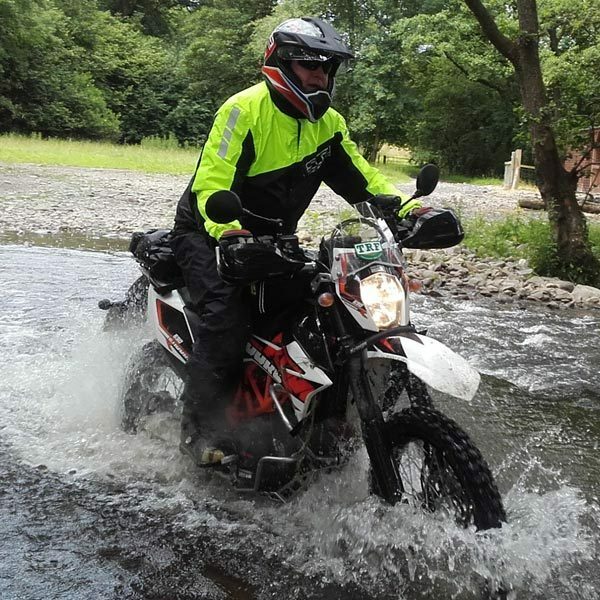 The Bike Tours for the Wounded Byway tour raised another £9,000 for a very worthwhile cause. 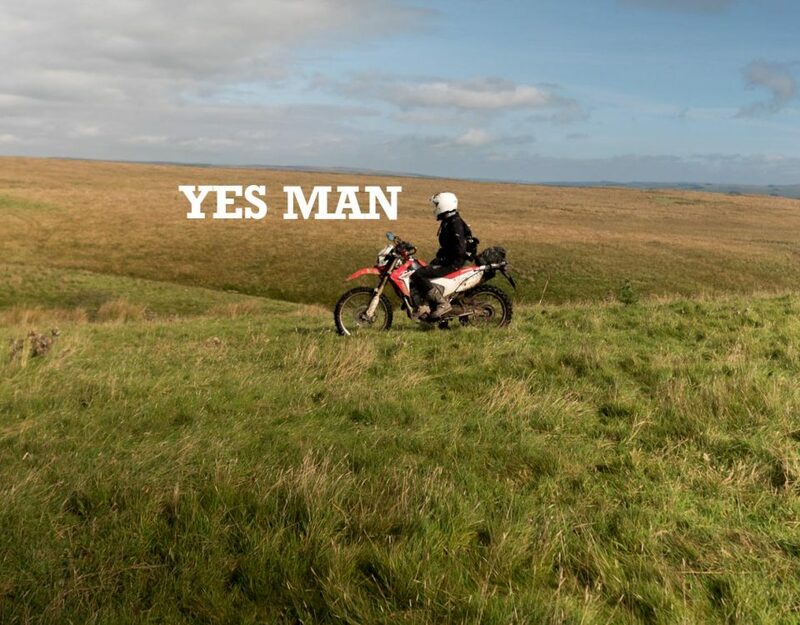 The greatest thanks has to go to the riders who all signed up to the tour, prepped their bikes and gear and spent a week on the trails in often challenging situations. Judging by the stories and camaraderie that has come out of a week on tour, it can be assumed that the tour was a success. 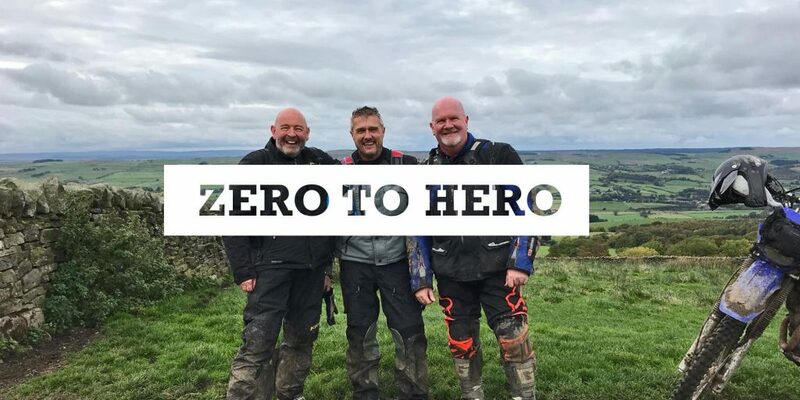 This is further confirmed by a number of the riders signing up for next year’s ride already! 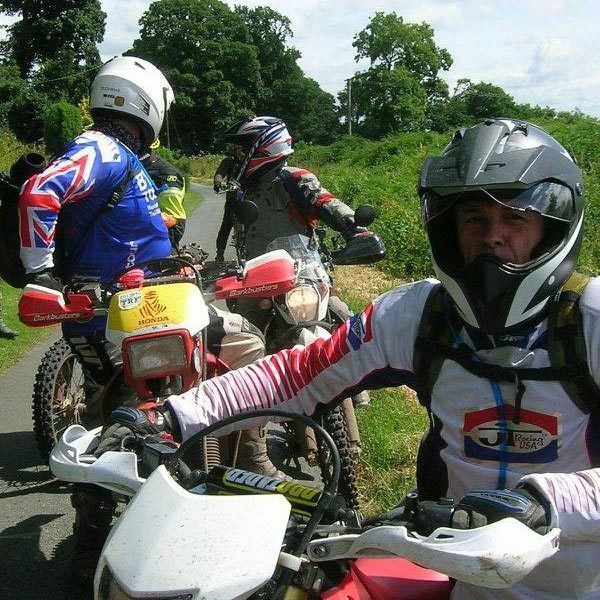 Bike Tours for the Wounded supports all services and all ranks of those who have served our country. 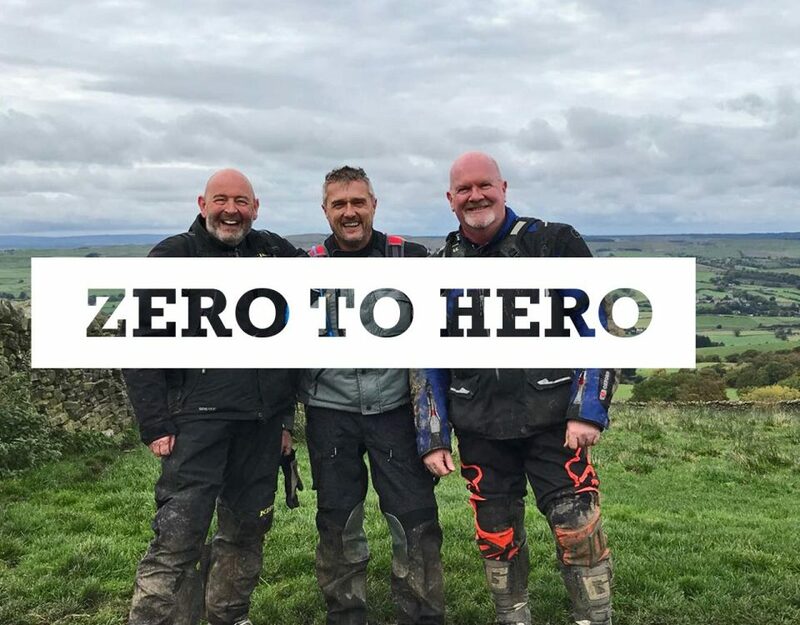 Whether they are Wounded, Injured or Sick (WIS) where their injury, physical or mental condition is / was considered to be career or life limiting, including veterans. PTSD can have a tremendous impact on the lives of those who are affected by the condition. We support and continue to support many serviceman and servicewomen with PTSD. To date, we have taken more than 200 servicemen and servicewomen to the US on Route 66. Sadly, 3 of these individuals are no longer with us. The 2017 Byway Tour will be leaving on 2 July from Folkstone and arriving in Cheddar on 8 July. For more info and to sign up head over to the Byway Tour Facebook Group.